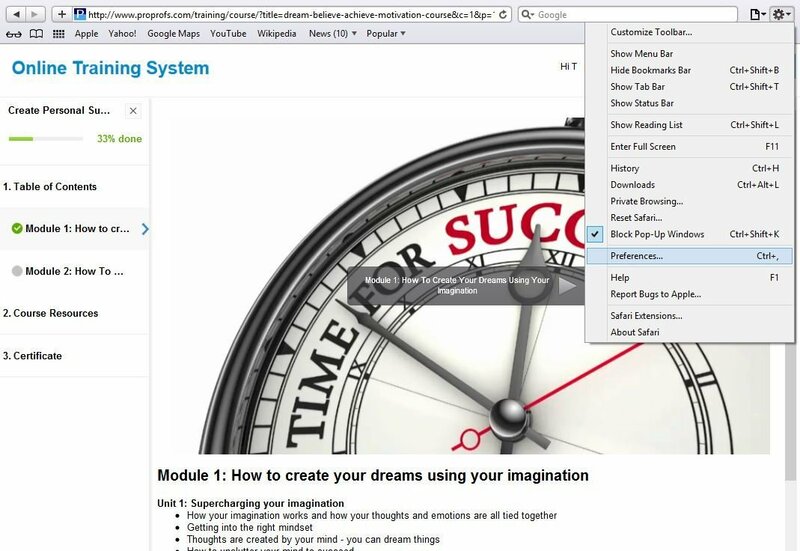 This guide has been designed to allow you multiple options for overcoming login issues with your course, please attempt the instructions outlined in this guide before contacting us as this resolves login issues 99% of the time, if you have exhausted the possibilities in this troubleshooting guide please contact us at email/info)(coursesforsuccess.com. Solution: The username and password fields are case sensitive. Make sure that you don't have caps lock on and that your keyboard is in the correct language. The below instructions should help you continue on with your studies, due to conflicts with Safari some students have reported login issues such as clicking "log in" simply refreshing the page without providing an error message asking them to login, to solve this we recommend following the below steps. Open Safari on the quiz that is not working. Go to Safari settings and click on preferences. Under Privacy tag >> Block cookies, you can see three options "From third party and advertisers", "Always" and "Never". Make sure Block cookies is set to "Never". Note, you can retrieve this URL by clicking the "Forgot Password" link on your course login page and entering your email address, this will email you a copy of your password and the above URL address. Open iPad settings and select Safari. Do the same for iPhones. In Privacy >> Accept Cookies, you can see three options "From visited", "Always" and Never? 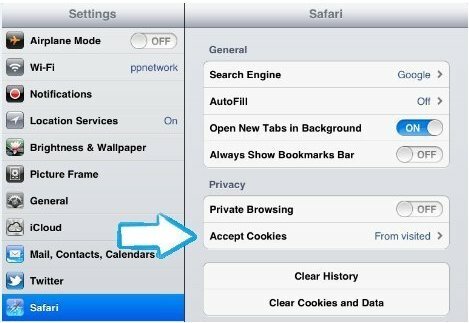 Make sure Accept Cookies is set to "Always". If you are experiencing technical difficulties contact us at email/info)(coursesforsuccess.com and we will do our best to assist you.